Our Northwest Dairy Association co-op’s farmers personally care about their cows and they are committed to their health and welfare. From the F.A.R.M. program's second- and third-party animal welfare evaluations to leading edge practices in nutrition, veterinary science and cow comfort, NDA’s members can be relied upon to provide excellent animal care. NDA’s farmers are building family legacies on their land and as such are committed to being good stewards of the environment. Managing manure as a nutrient, conserving water, and innovating in a wide range of ways to create better performance with less environmental impact are the hallmarks of their efforts. 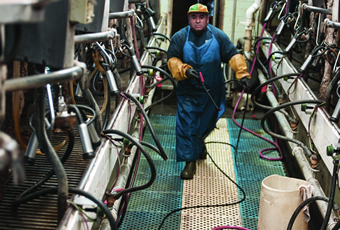 As NDA farms have grown, they’ve been employing more workers. NDA supports their members in building better farm employment practices, helping to ensure quality work lives for farm workers. From evaluations to seminars to resource tools, NDA farmers have guidance for continuously improving their employee management practices. 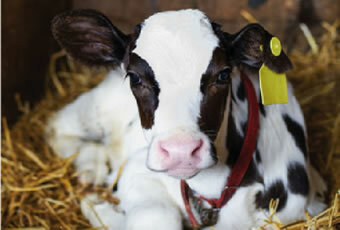 A primary focus of dairy farmers' daily work lives is the health and welfare of their cows. This focus is driven by a moral commitment and sense of stewardship that dairy farmers feel, as well as by a genuine appreciation and enjoyment of the cows themselves. Beyond these personal commitments, our NDA cooperative members are also keenly aware from a business perspective that as their cows go, so goes their business. The healthier their cows are, the more milk those cows produce. For all these reasons, NDA dairy farmers organize and build their operations around high quality animal care. NDA played a leadership role in emphasizing and evaluating animal care beginning in 2008. At that time, there were no widely accepted national standards for animal care, and consumer interest in this area was still modest. NDA developed their own extensive in-house web-based module for animal care assessment. This self-evaluation covered every major area of animal care and welfare. In the next year, using this in-depth assessment, NDA had evaluated a large number of the co-op's dairy farms. None of those who were evaluated were noted for any serious concerns in any of the major areas of animal care. Beyond their generally excellent performance in all the key areas, most NDA dairy farmers also appreciated the insights they gained from the evaluations about areas where they could improve. McDonald's recognized NDA as one of their Sustainable Suppliers of the Year based on the comprehensiveness and functionality of the web-based animal welfare evaluation tool and the solid performance and commitment to continuous improvement of NDA's farmers. 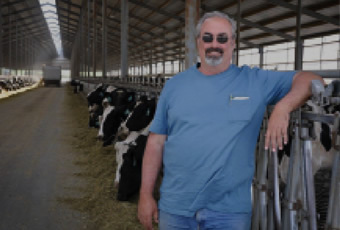 Darigold's producer-owner dairies have performed well on an advanced on-site animal welfare evaluation by second- and/or third-party evaluators. As corporate, consumer and national interest in animal welfare continued to grow, NDA came to the view that a national evaluation system would be more useful for customers and consumers than the unique NDA tool, no matter how pioneering or comprehensive. So beginning in 2011, NDA decided to transition to the newly emerging, nationally recognized F.A.R.M. (Farmers Assuring Responsible Management) program from the National Milk Producers Federation (NMPF). NDA leaders have served on various committees of the F.A.R.M program, helping assure its thoroughness. Today NDA sits on the Technical Writing Group of the F.A.R.M. program, working to ensure that the program is building continuous improvement into its standards of animal care. As of 2015, nearly all of NDA members underwent a comprehensive on-site animal welfare evaluation. In 2012, NDA adopted the F.A.R.M. program as their animal welfare evaluation framework and made it a condition of NDA membership. Under that program, each farm has a second-party evaluation every three years, or more frequently as needed. Some NDA farmers request that they have annual evaluations because they appreciate having an independent evaluation of their practices as they strive to improve daily operations. The F.A.R.M. program involves extensive, in-depth evaluations covering the full range of issues that make up cows' well-being, including: cow health from newborn procedures to end of life, facilities and environment, nutrition, veterinary relationships, management procedures and protocols, equipment and milking procedures, transportation, scoring for locomotion, body condition, hock and knee abrasion and more, emergency animal care procedures, employee training, and animal handling. In addition to F.A.R.M. second-party assessments, NDA is also committed to a vigorous third-party evaluation program. 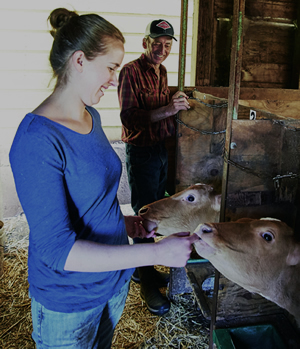 For several years, NDA has employed recognized outside third-party experts to evaluate members' animal welfare practices, providing in-depth assessments to some of their farms every year, evaluating all farms over a rotating schedule designed to spread best practices and accelerate continuous improvement. NDA dairy farmers to date have in general demonstrated excellent animal care practices, appreciated the insights gained toward continuous improvement, and not received reviews at odds with national norms.